Wars are endless on planet Earth, and fear and pain follow wars and invasions. Even for kids living in countries where barbarians are not at the gate, there are TV, movies, games and computers contributing to awareness and perceptions. It depends on where you live...One generation ago, the concept of global terror was virtually unknown. What should I do when writing children's books about these realities? How should what I write relate to these issues without bringing more fear, bad dreams, and anxiety into the lives of the children who read our books..? And, even though our books are fantasy adventures, how do we find reasonably plausibe and believeable events wherein dogs find non-violent solutions to danger, invaders, and war? Feedback matters whether from kids, parents, or reviewers. And sometimes, someone out there in the Internet world, rewards our efforts with feedback that tell us that our books are perceived as we hoped they would be... Don Blankenship is a teacher, dog person, and children's book reviewer on the premier website, Good Books for Kids. He lives with his wife in the woods of the Ozark Mountains, has traveled extensively, enjoys the outdoors, birding, and history. He enjoys nature photography and roaming the hills with his dog. He also has over 2,300 book in his library. He reviewed all of our books. Here is an excerpt from Don Blankenshp's review of Planet Of The Dogs..."This story borders between reality, a dream world, fantasy, fiction, reality and wonderful imagination. People here on Earth are in trouble with many of the evils they create for themselves, and as in real life, dogs are much brighter about such things than we are. The author has done a wonderful job of weaving this tale, making it a first rate fantasy read, while at the same time addressing quite real problems and indeed, how to fix those problems.."
"One of my favorite books of all time is The Art of Racing in the Rain, by Garth Stein. The main character and narrator of the story is a dog named Enzo, who tells the story of his life with his person, Denny. Enzo thinks Denny is amazing. I think that any dog who is treated well thinks their person is amazing. Gosh, they worship us, don’t they? Not only that, but I believe that they sometimes think we are magicians and demi gods as well..."
Above is the beginning of current post on Cayr Ariel Wulff's blog Up On The Woof...Cayr is the multi-talented, passionate dog lover, dog rescuer, dog artist(yelodoggie), dog book author (Born Without a Tail), and Cleveland Examiner Pet Columnist. Cayr writes with a fresh voice, passion, and often, humor, on a multitude of dog related issues on her blog, Up On The Woof. ..."One of the many things I am thankful for is the gift of reading that my mother gave to me. My mother and father divorced when I was eight and my younger sister, mother and I moved to Louisville, KY to live with my grandmother for a brief period before moving into our own, small apartment. We were very poor with no vehicle or television, but my mother was an avid reader. So on weekends, we would walk about five miles to the Louisville Free Public Library. We would take a rolling cart with us and bring back mounds of books. My sister and I would even go by ourselves when mom couldn't go. We loved everything about the library: the gigantic building, the smell of the books, and getting my very own library card. I'll never forget the first time I walked into the children's department. It was the most beautiful place!..." Denise Johnson is, in her own words, "a professor of children's literature and literacy methods courses at The College of William & Mary. I enjoy reading, writing, and talking about books with children, teachers and anyone who will listen (so please, share your thoughts with me!)." Deanna Leah now represents world-wideforeign rights sales for the Planet Of The Dogsseries (with the exception of Japan). Deanna represents a "collection of spiritually empowering and life-affirming works dedicated to inspiration, empowerment, enlightenment and joy...conciousness-expanding books that contribute to greater awareness in this new century." She is currently following up with publishers and agents who expressed interest in our books at the London Book Fair in April. The photo on the left is of Deanna at the Book Fair; on the right is Mr Li Ke, publisher, Zhipin Books Co. Ltd, Beijing, China. Mr Ke has expressed an interest in the Planet Of The Dogs series.The man on the left in the photo is Mr Ke's translator. The Frankfort Book Fair in October 12-16 -- more than 7,300 exhibitors from 100 countries, 299,000 visitors and over 10,000 journalists -- is the next International fair that Deanna will attend. Military Working Dogs..."There is no stronger bond than that of a dog and his handler." An email from a retired marine friend has alerted me to the Space Coast War Dog Association (SCWDA) and their efforts on behalf of military working dogs. I've quoted excerpts from their site below (www.scwda.org), but their site contains so much more content in the form of factual information, photos and videos that conveys the huge contributions that these dogs have made, and continue to make. Bosnia,Afghanistan, Operation Desert Storm, Operation Enduring Freedom, and Operation Iraqi Freedom. Military Working Dogs continue work at home and in peacekeeping missions around the globe helping to secure our safety and freedom. Scout, Mine and Booby, and Tracker Dog Teams completed 90,000 missions. Tens on thousands of hours were performed by the Sentry Dog Teams..."
SCWDA supports dogs, handlers, children in Iraq and Afghanistan...they've shipped over 15,00 pound of morale and supply items to the war zones...and in the USA, they supply books and videos about the dogs, their handler-partners, and the work they do together to public libraries. "This group is for dogs (and owners!) who love a great book. We'll read a book a month, then discuss it in our group forum.".. On Dogster, the humans communicate through their dogs. Dafi is one of our family dogs. As his dad, I have been a member of the Dog Eared Book Club for several years. "A fine new book. A debut novel from a South African writer about a American soldier and a dog (yellow Lab) during the Vietnam War. Stopped at the library, was handed this book by my "personal" librarian, read it in a day, wrote a review of it (4 paws) for the local paper and I look forward to any other book this man might write. For such an easy read and fast-paced book, the writer conveys a lot of depth not only about the relationship between the man and the dog, but also interesting insights (opinions? )about that war". ...Jessie' Mom. I've written many times about the amazing work that therapy dogs and their owners do to contribute to the betterment of our lives...Now , with the help of many of the therapy dog owners whose photos have graced the pages of this blog, I am writing a new article, "A Dog Walks Into the Room." pet therapy, it is the dog that opens the door...doors that would otherwise be closed to a well meaning human...doors that are sometimes closed to family, friends, care givers and staff of facilities. There is something very special about these canine creatures and they have been saving and comforting humans for thousands of years. It is their touch or look that gives people that inner peace when their world is spinning so fast they have lost control. When doors begin the final closing, there is that one last smile, nod, a hand that reaches for a dog that allows some of them to say goodbye and close their eyes in peace." The photo on the left is of Rose, and her friend PJ Johnson with a lady friend. Susan says that it is rare for two therapy dogs to be able to work together like this. Thanks to all who made the extra effort and sent me information for my article. If you have a therapy reading dog, we will send you a complimentary copy of one or more of our books. 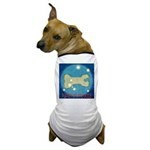 Email us at barkingingplanet@aol.com. We support therapy reading dog programs in 13 states...Let's read dog books to Dogs! Marshal Zeringue is the creator and editor of "THE OFFICIAL BLOG OF THE CAMPAIGN FOR THE AMERICAN READER, AN INDEPENDENT INITIATIVE TO ENCOURAGE MORE READERS TO READ MORE BOOKS. I met Marshall on the Internet when he interviewed me on another of his Blogs, Coffee with a Canine (to read the interview and see photos, vist: http://coffeecanine.blogspot.com/2011/04/robert-mccarty-dafi-and-nemo.html I subsequently learned that Marshall's interest in reading, books, and authors is absolutely prodigious.
" The goal of this blog is to inspire more people to spend more time reading books. I'll try to do that by shining a little light on books that I like and think others might find worthy of their time and attention. I'll also ask some interesting people about what books they find interesting or useful. Most of us don’t need any encouragement to read more—we need more time. Yet encouragement does work for many people; and if you doubt that claim, I have two syllables for you: O-prah. And it’s not only Oprah, who created regular readers out of a mulitude of the otherwise idle, who has this power. Many of us read what we read because someone recommended it to us. With regular postings we hope not to merely recommend worthwhile books but to intrigue you, to give you some reason to seriously consider these books. Not every book discussed will be to your taste—we’ll range from the high-lowbrow to the low-highbrow, and cover fiction as well as nonfiction—but I hope enough of what you see here will stimulate your interest." Darlene is an expert on small dogs and dog wellness...she has a column in Dogs in Canada magazine, and is the author of Rover Get Off her Leg; Small Dogs, Big Hearts; and The Irrepresible Toy Dog. She has also written a cat care guide, Cat's Meow. Her Book of Wellness and Preventive Care for Dogs, was written in association with Angell Memorial Animal Hospital (Boston MA).Darlene says that, "Implementing a preventive-medicine plan, much like preventive-medicine and wellness plans for children and adults, is key to avoiding illness, accidents, and malnutrition. The Angell Memorial Animal Hospital Book of Wellness and Preventive Care for Dogs is the first book to discuss the importance of having a pet wellness plan and to offer the opportunity for owners everywhere to re-create Angell's preventive-care program in their own homes." "Do you think it is possible for dogs to stop a war?... Children will enjoy the story (Castle In The Mist) about dogs who come from another planet to help people on earth. But under the surface are the important messages of friendship, love, loyalty and how to overcome evil with good...It will keep you turning the pages to find out what happens next..."
Don't be startled if you should be walking down the hallway in Libby's House East, to visit a loved one, and you see the dog in the photo on the left. This is Frankie, and not only is he a regular visitor with his owner, Barb Techel, but he is the principle character in a special book about his visits to see the elderly. Libby's House is a senior assisted living facility in Plymouth, WI. Barb wrote this excellent book, Frankie the Walk 'N Roll Dog Visits Libby's House.to help children understand and deal with the the problems and the passing of the elderly. "Yes, I Rescued a Human Today...Her eyes met mine as she walked down the corridor peering apprehensively into the kennels. I felt her need instantly and knew I had to help her..."
"Supraglan is a vet-approved natural treatment for both dog Cushings Disease (Hyperadrenalcortisim) and Addisons Disease in dogs. The popularity of Supraglan is based on the fact it is an all-natural herbal treatment, currently legalized and manufactured in the United States..."
"A Guide to Keeping Your Dog Cool this Summer: While we often think of our dogs as being more tolerant and less prone to health issues than we are as humans, when it comes to heat stroke, our dogs are actually more susceptible than we are. They can overheat much more quickly than we can, which means that even though we may feel comfortable..."
Planet Dog Foundation announces Fall 2011 Grantmaking Cycle for Service Dog Programs: The Planet Dog Foundation seeks to support nonprofit programs in the United States that train, place, and support dogs helping people in need. The foundation awards grants of up to $7,500 to help fund service-oriented programs related to assistance dogs, therapy dogs, search and rescue dogs, or police, fire, and military dogs. The foundation will give priority to programs that creatively serve multiple populations or otherwise maximize the value of the grants awarded. Only U.S.-based nonprofit 501(c)(3) organizations are eligible to apply. Applicants must be accredited members of AssistanceDogsInternational. Because of its limited funding focus, the foundation does not provide grants for spay/neuter programs, animal shelters, or rescue or adoption programs. When you visit Songberries, Carol Harlow's site for homemakers and readers, these are the words that greet you..."I'm a baker at heart. Cakes, cookies, breads. . . these are the things that really catch my eye. I'll cook for sustenance, but my joy comes from baking. " The Lucky Dog Rescue Blog is a posted by Ashley Owen Hill in Meridian, Mississippi. Among her affiliations, she is the Mississippi representative for Dogs Deserve Better. Here is her opening comment about herself...My name is Ashley, and I am an animal rescuer. I was born an animal rescuer. It is truly the reason I was put on this Earth. " As a means to help the animals who so desperately need saving by getting their stories & faces out there. As a way to vent about my frustrations in animal rescue—the inefficient laws, the lack of help, the cruelty that goes unseen. As a way to share the joys of animal rescue, the successes & adoption stories. And as a medium to connect with other rescuers, to join forces & make a difference. And to say: You are not alone..."